It is common in soil water. Its various species live as saprophyte. Some of them live on decaying plant as parasites. 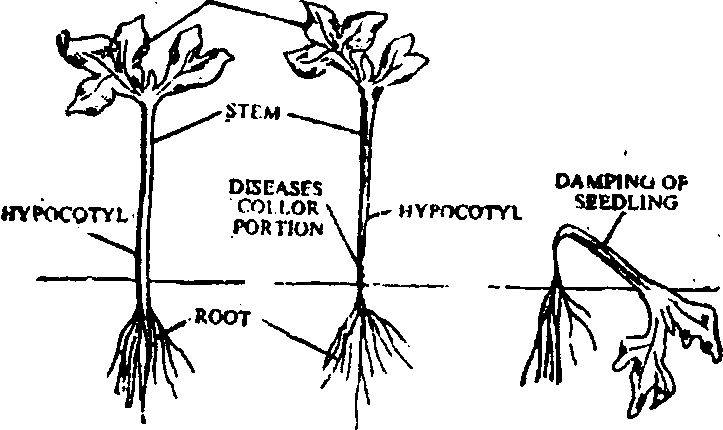 The parasitic stage attacks the roots and the seedlings. It causes disease Damping-off. Pyd him debaryanum causes this disease. Some species are parasitic on some freshwater algae. The mycelium of Pythium consists of coenocytic, unseptate and branched hyphae. The cell wall is composed of cellulose. Hyphae contain a large mass of protoplasm. This protoplast has large number of nuclei, fat globule and glycogen. The growth of parasitic hyphae is both intercellular and intracellular. They are without any hlustoria. Disease cycle: The infected hyphae enter into plant through the ston ata or cell wall. The mycelium remains in cortical cells (host plant) during early attack. The host plant collapses at this point. It falls on ground. It is called dumping off disease. Later hypae spread to other parts of the plant through vascular bundle. It absorbs the fooe of plant. 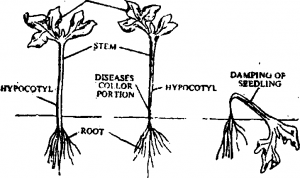 The plant dies and Pythium becomes saprophytic. It releases its enzymes and decomposes the plant body. Fig: Pythiuin showing effect on host plant seedling. vesicle contains content of sporangium. Its cytoplasm divides ;nto uninucleate parts. Each part changes into a biflagellate zoospore. The zoospores escape by the rupturing of the vesicular wall. 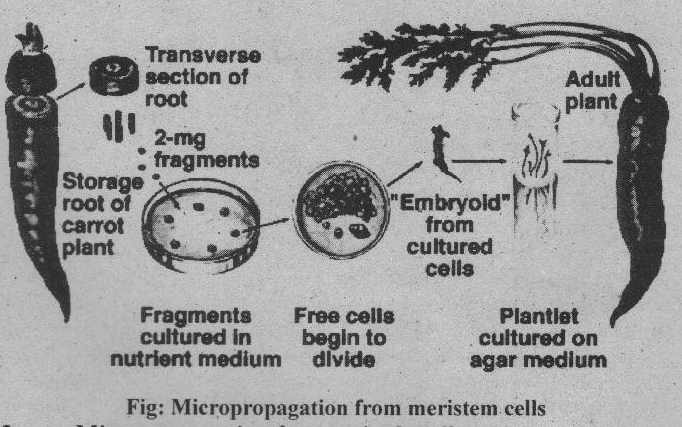 Each zoospore germinates to produce a new mycelium. :onidiosporangia. It forms conidia in dry conditions. (c) kplanospore formation: Chlamydospores also produced on certain hyphae. These spores germinate to form long hyphae. This hypha develops sporangium. Zoospores are produced in this worangi um.